Check out Noadi on Etsy.com, and get your hands on some of her beautiful handmade polymer clay jewelry and sculpture creations. 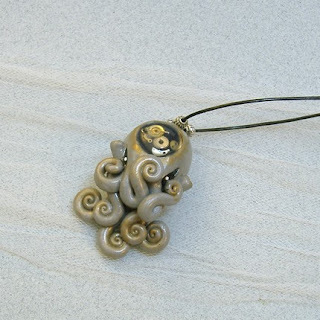 I've picked out my favorite octopus pieces, and there's lots more on her site, including squid, nautilus, and cuttlefish jewelry! Inspired by a love of marine animals, science, and all things weird and wonderful. Noadi's Art is the creation of artist Sheryl Westleigh. 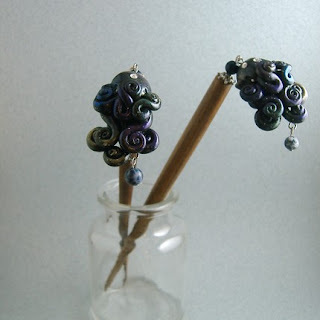 Polymer clay jewelry creations and mixed media sculptures. 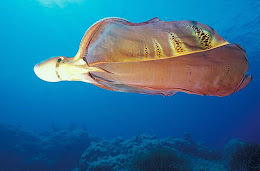 If you love cuttlefish, octopus, trilobites, or other strange creatures I've got something for you. Holiday Shipping Deadlines - US orders must be placed by these dates for best chances of arriving in time for the holidays. International shipping time is unfortunately hard to predict so I can't give deadlines. Ordering 2-3 weeks in advance is a good idea but I can't make any guarantee it will arrive in time. Weird I got one of this one, when I Buy Viagra once in a pharmacy the guy said to me this ones came with the product. 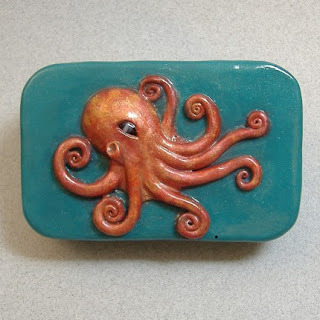 Beautiful jewelry, I love the theme you chose, octopuses looks awesome in jewelry. Everything Octopus Reader's Gift Pics! 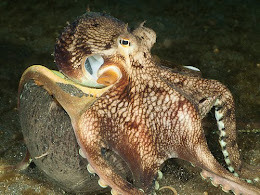 Octopus Wrestling...A Strange Sport Indeed! 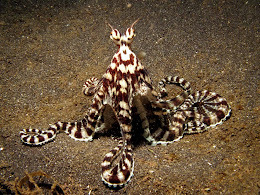 BREAKER "The More I Want, The More I Get"
Did Santa Bring You Octo-Gifts? Merry Christmas from Everything Octopus! 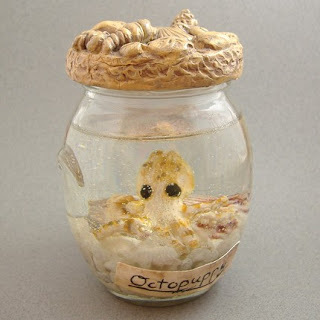 Everything Octopus Now on Twitter!